SPEAKER & TOPIC: Tonight's speaker is Calusa Herp Society member and Treasurer Chris Lechowicz from the Sanibel-Captiva Conservation Foundation (SCCF.org). 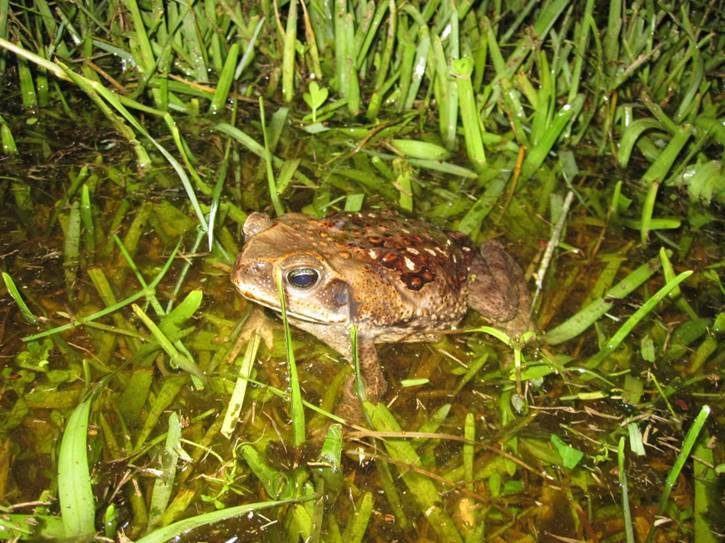 The title of his talk is "Cane Toad (Rhinella marina) Discovery and Dispersal on Sanibel Island". Chris has been studying the quick dispersal of the cane toad on Sanibel since its discovery there in 2013. He will discuss the history of cane toad introductions around the world, the issues in Florida with this species, and the actions they have taken to eradicate and then control populations.